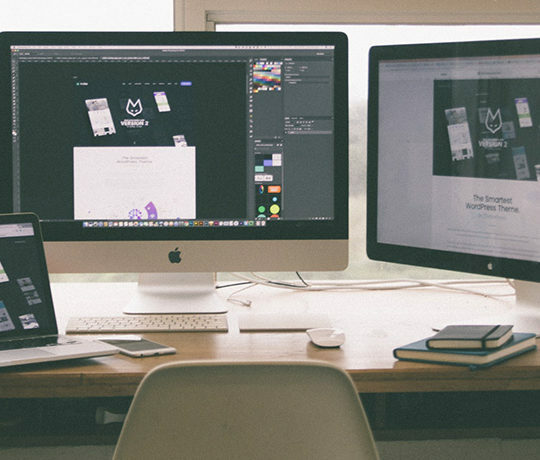 When it comes to creating a website, it has never been so easy to go online. The market is thick with miscellaneous offers. There are thousands of solutions and there is more to come in the next few years that’s for sure. The more good news is such an increase works for everyone. The developers of numerous website building systems have already adjusted their products to not-tech-savvy customers a long time ago so that even a six-year-old kid is able to make a website with a template. The website builders made also possible for professional web developers to spend less time on a particular project and enlarge own income. The best way to get the hang of the today’s situation is to review the real example like MotoCMS Website Creator. 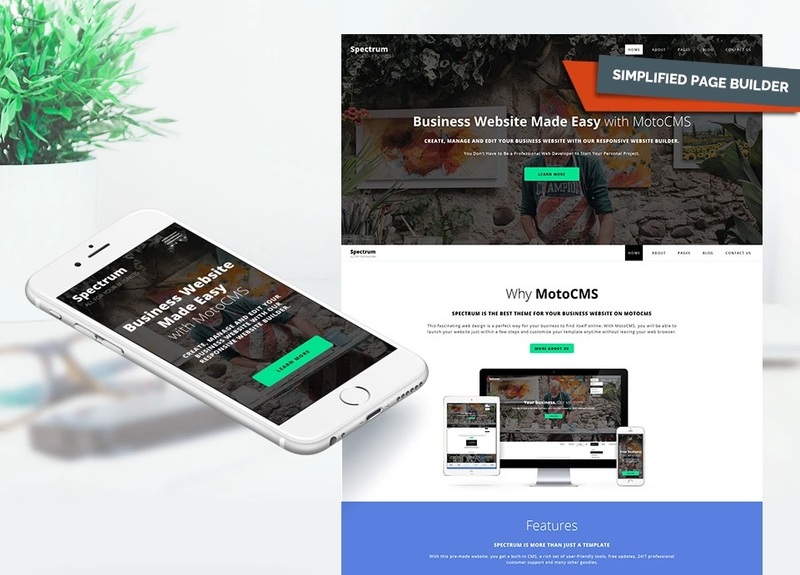 MotoCMS is one of the top vendors of website templates with the rich collection of 2.500+ ready-made websites for any purpose. 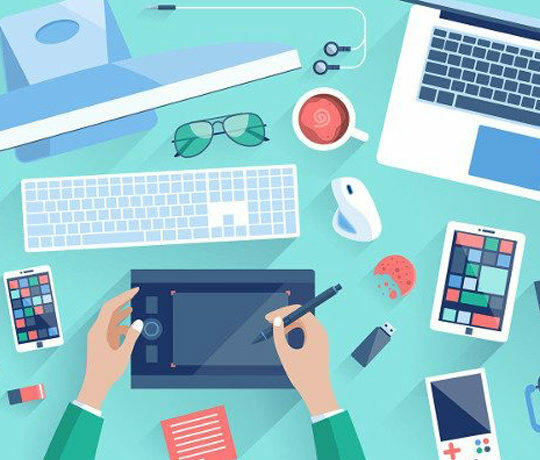 In addition to a web theme, the company provides its customers with a content management system for complete website customization with no coding skills. The admin panel from MotoCMS is a user-friendly website builder, allowing to edit your website live in a web browser by means of time-honoured drag & drop functionality. The MotoCMS website creator was originally developed for beginners with no programming experience. The system empowers an ordinary user with a wide range of tools and widgets to implement own creative ideas with no outside help. If you create a website and your website is not responsive, prepare yourself for serious consequences. The proportion of the users who surf the web via mobile devices is enormous and only increasing with time. If your site is not adapted to smartphones and tablets, users will simply not take you seriously. The website templates made with MotoCMS are 100% responsive, allowing you to keep up with the latest technologies. Search engines for your website is like Olympian gods for an ancient Greek. To catch their the eye, you must bring the gifts. In our case, the gifts are meta tags like keywords, titles, alts for images, descriptions etc. 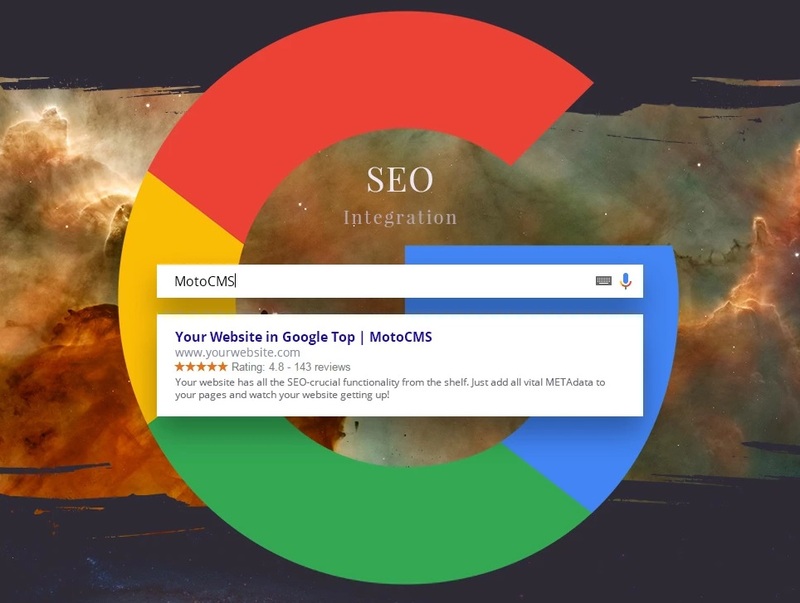 The MotoCMS admin panel allows you to add all this information to your website, so search engines could notice it on the web and raise its rankings. With MotoCMS, you can build a website with a fully-featured blog on board. The blog functionality allows a website owner to add content, publish articles of any kind and customize your personal blog design easy and without hiring a web developer. As for an eCommerce solution, there is a freestanding line of responsive eCommerce templates made especially for online retailing. All web themes of this category combined simple design and the most advanced functionality for successful and efficient management of your e-store. If you have already a template from MotoCMS, you can easily upgrade it with an eCommerce plugin that is available for an extra price. MotoCMS is not just a user-friendly platform for beginners with no website building experience. The company offers also a White Label license for any of its templates. 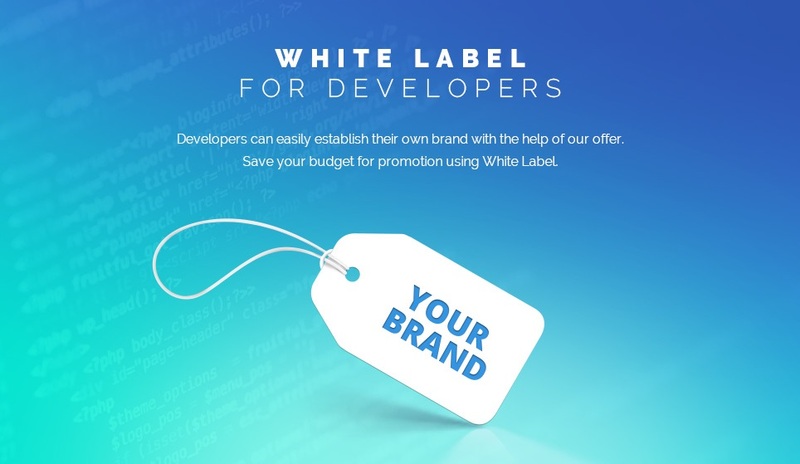 The license gives you the right to retail a web theme under your own brand and price, so you could save money and time on the promotion of your business. All MotoCMS customers have an opportunity to contact professional tech. support that is available free of charge and 24/7. You can order a phone call, when it is convenient to you. Also, you are welcome to ask for help in live chat. Your personal manager will assist you with pleasure. In one week, we will determine three winners for three website themes from MotoCMS. Now let’s look at the templates that you can get. 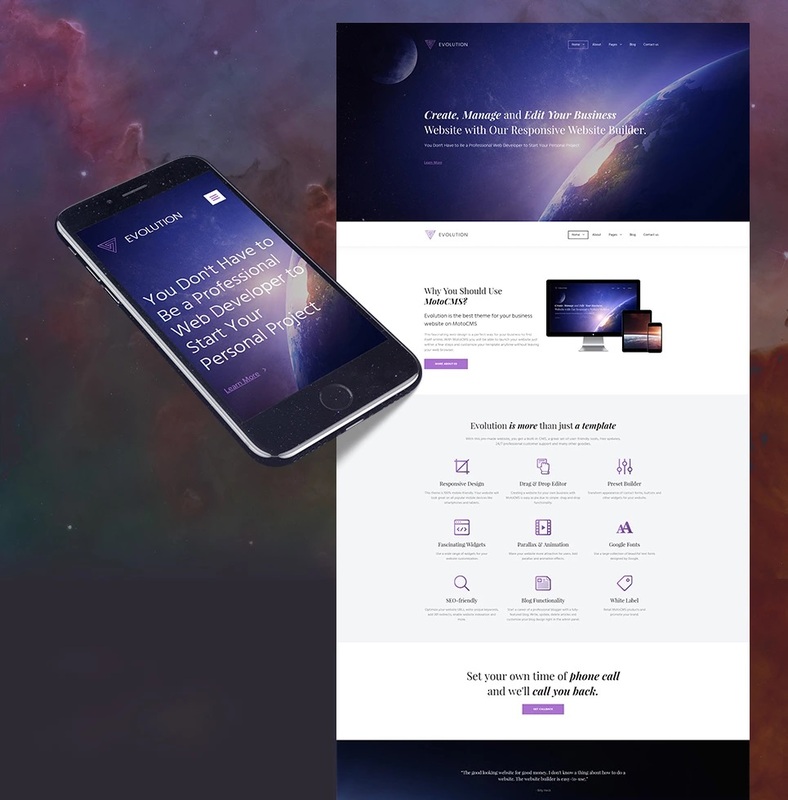 Spectrum is a great example of a multipurpose business website template. The web theme combined 19 ready-made pages that you can edit with the built-in admin panel. Talking more of the admin panel, it contains a simplified page editor that allows you quite literally to build your website with different blocks. Each block has unique design. Just drop your favorite one on the layout and customize it according to your requirements. All that and more with no coding skills. Another advantage of this website template is the diversity of its home pages: general, restaurant, consulting, financial and industrial. Don’t be shy to take one of them and set it as the home page. You will save a lot of your time on the development of a website welcome page. All you need is adding some content and done! Evolution is one more web theme, which MotoCMS is about to give away in this article. This template is a perfect all-in-one solution for a professional company that want to find itself online. Web developers should definitely not stand aside, because Evolution can boost the amount of your clients. 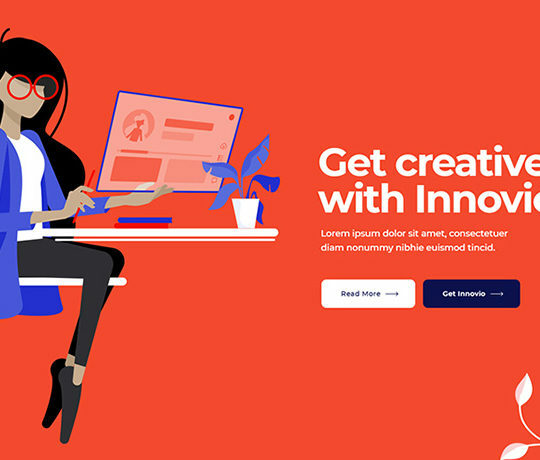 Thanks to its 16 ready-to-use pages and 4 extra home pages, you have unlimited opportunities in creating a zillion websites for various customers. Another good thing for web developers is that you have no need for seed funding. Just find a client, launch Evolution for the free trial period, customize the web theme free of charge, get a client’s approval and money, end your project and buyout your template with all modifications! Any photographers here? 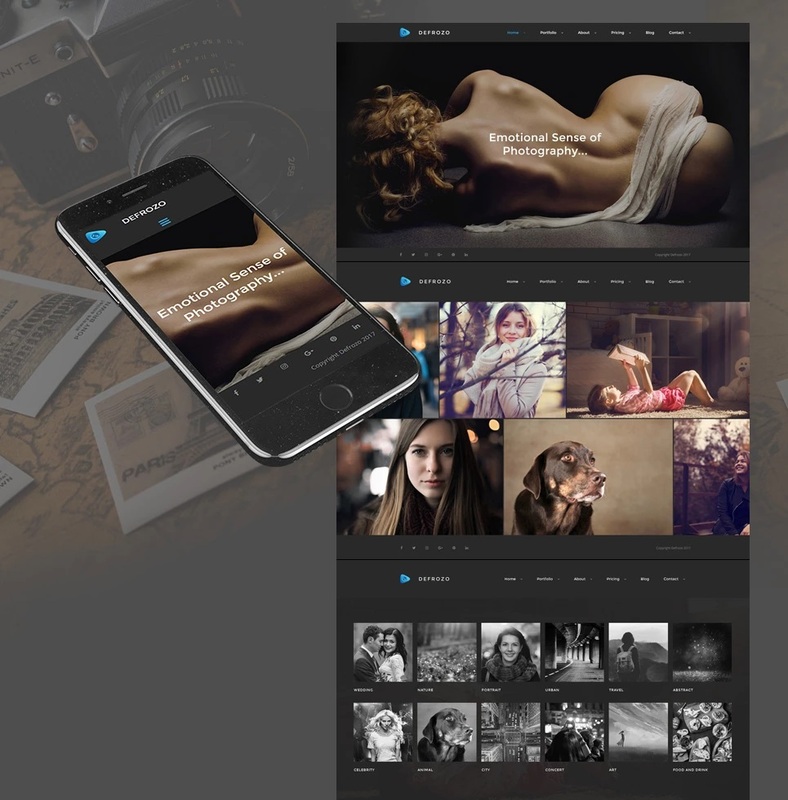 Defrozo is a ready-made online portfolio for photographers of all levels. Promote yourself and your photography with a website that looks fascinating, works lightning fast and requires no third-party assistance for its editing. As for the customization process, the admin panel contains the block editor I mentioned a few moments ago. It will help you to save weeks of time and thousands of dollars that you would waste on hiring a professional. Each page of Defrozo (aside from blog) has 4 original templates you can use to create your own online portfolio. As for blog functionality, you are able to start your photography blog and post useful content for your colleges, fans and new visitors of your website. So what website template do you like the most: Spectrum, Evolution or Defrozo? Go ahead and tell us in comments just right now why the web theme you picked is your favorite one. We recommend you to hurry up! Since we give away 3 website templates, there will be only 3 winners. 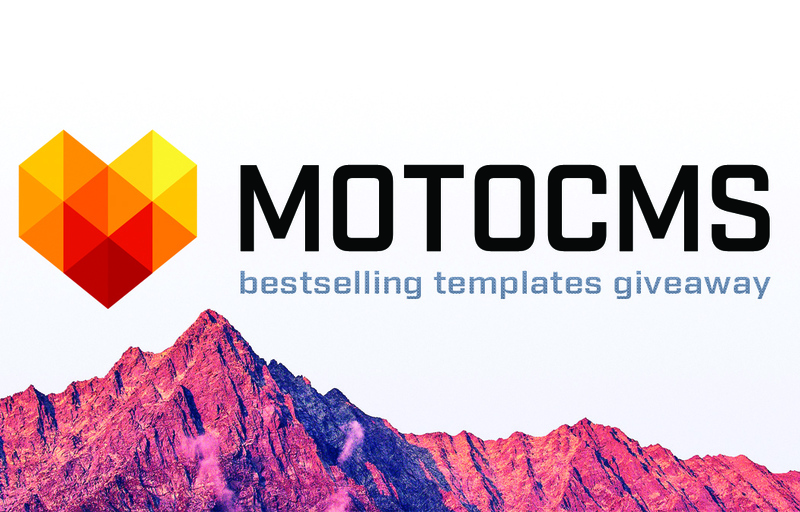 Remember, you have one week to take part in this giveaway from MotoCMS. Good luck! Sounds interesting and would love to try this out. Nice Stuff! Would love to check this out! Liked features & templates. Set up website or online store quickly. This looks great, would love to win it! 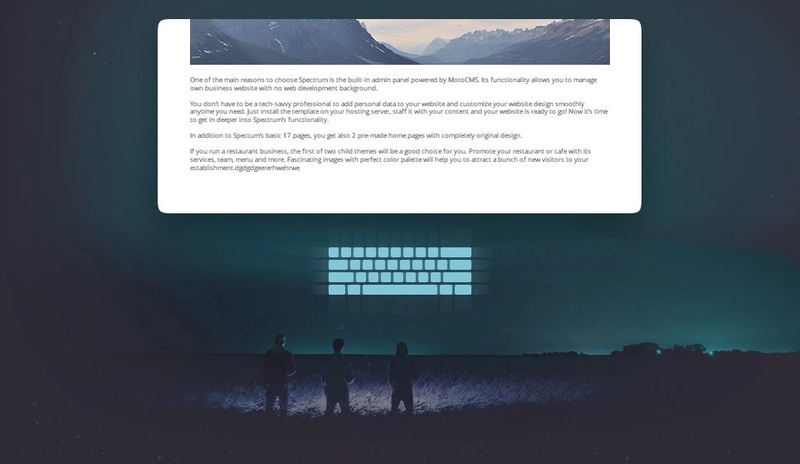 I would like to go with Spectrum Template as i see that it is very much similar to my requirement and expectations and i guess it is very easy to manage and it is very minimalistic. Nice promo, hope in winning and starting using MOTO for real. My fav is Defrozo Photography Portfolio Theme. My favourite is Spectrum. It’s a beautiful theme that looks really versatile. Everyone … all the best! Haven’t tried this website builder to be honest. It has some handful of features as well though. Would be worth to try this one out. As a web agency owner, we always want to try new solutions to make websites faster, without compromising quality! Felt in love with the main banner !